Cathy is the Chief Compliance Officer and Director of Wealth Management Services at PRW Wealth Management, LLC. She is responsible for enhancing the functional infrastructure (human capital, equipment, and technology) of PRW, enabling the team to continuously improve the quality of our services and delivery of a “Raving Fans” client experience. To that end, she focuses on devising strategies to drive service excellence and create a culture of delighting clients. In her role as Chief Compliance Officer, she oversees and manages regulatory compliance within the firm. Cathy joined PRW in June 2015, and has been providing above-and-beyond client service and management support since entering the financial services industry in 1997. Her outstanding achievements were publicly recognized when Cathy was named Assistant of the Year 2008 and sat on the Assistant Advisory Board at her previous broker/dealer. Cathy earned her Bachelor of Arts in Psychology from the University of Massachusetts/Boston. She currently holds her Series 7 (FINRA General Securities Representative) and Series 66 (NASAA Uniform Combined State Law Exam) securities licenses. And she is a licensed Notary Public for the Commonwealth of Massachusetts. 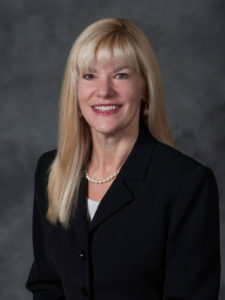 Cathy is also an advisor to the Board of Directors of Sturtevant, Inc., a family-owned, fifth-generation-managed sales and engineering business established in 1883.